The scientific discoveries and technological innovations produced by Bell System research and engineering were critical not only to the evolution of global telecommunications but, more widely, they had a considerable impact on the technological base of the global economy. The invention of the transistor at Bell labs in 1947, and subsequent advances in related solid-state device and circuit technology formed the basis of a multibillion dollar global industry and ultimately enabled the digital world. Not only has Bell Labs innovated, but it also showed the world technical integration of the innovations. The Bell System Technical Journal was a key enabler for this achievement. 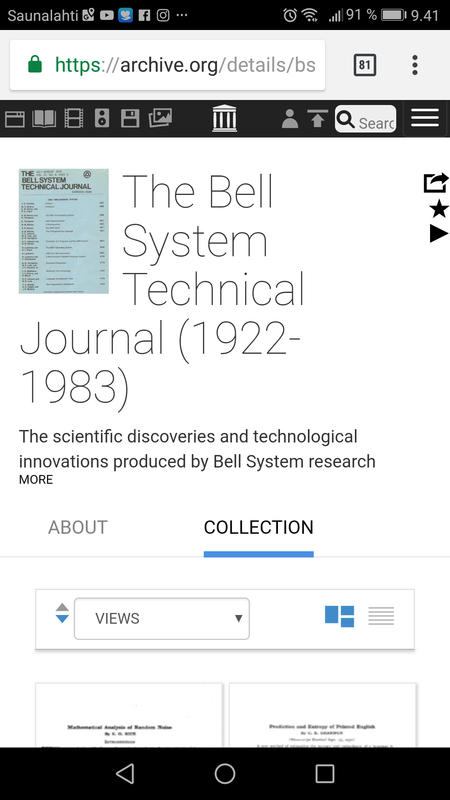 Internet archive has now the Bell System Technical Journal from volume 1 issue 1 in July 1922 to the final issue published in December 1983 available on-line for free.